Me and my friend Roberta made this beauty for Manuela's birthday. We were celebrating almost a week after her birthday, so we wanted to make amend in the right way. 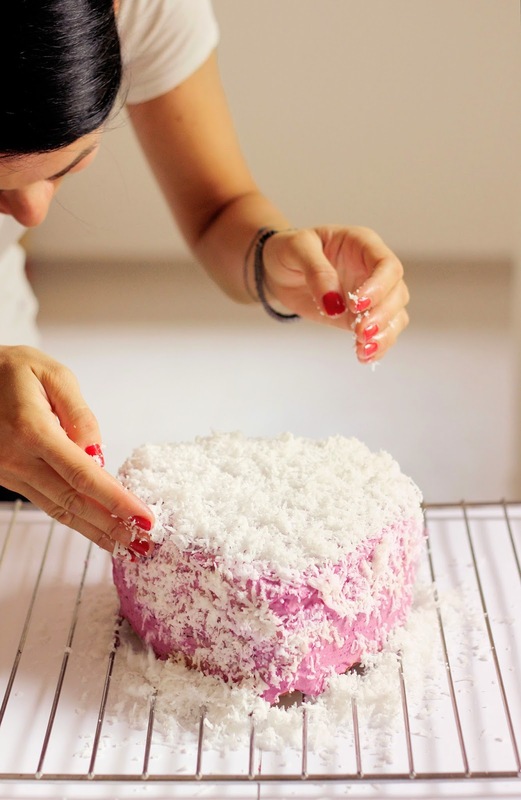 Prepare the layers by beating butter and sugar until light and fluffy. Add the eggs, one at a time. Then add the flour. Divide the batter into three 20 cm cake tins. 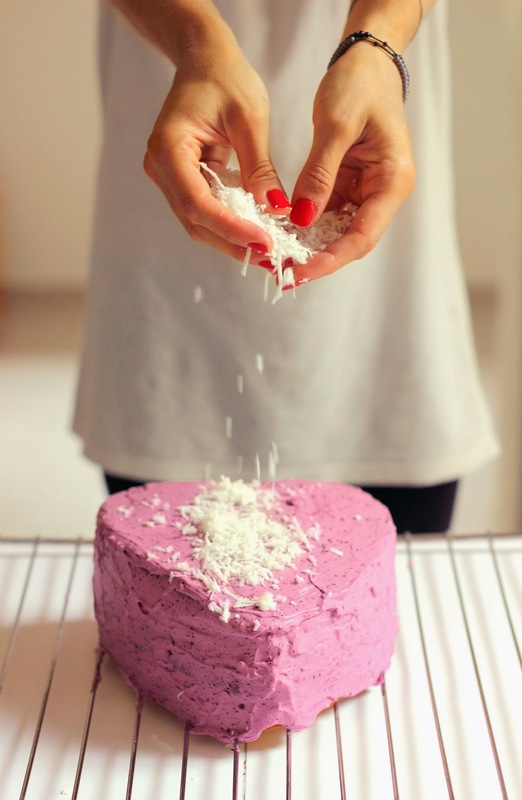 Bake at 180° for 15 minutes or until a knife inserted in the center of the cake will come out clean. Prepare the filling by mixing all the ingredients together. Whip the cream with the sugar and set aside in the fridge. Arrange the cake: put the first layer as a base. Spread 1/3 of the filling onto the first layer, cover with the second layer and repeat. Once the third layer is on top, mix the whipped cream with the remaining third of the filling. Cover the entire surface of the cake levelling well. 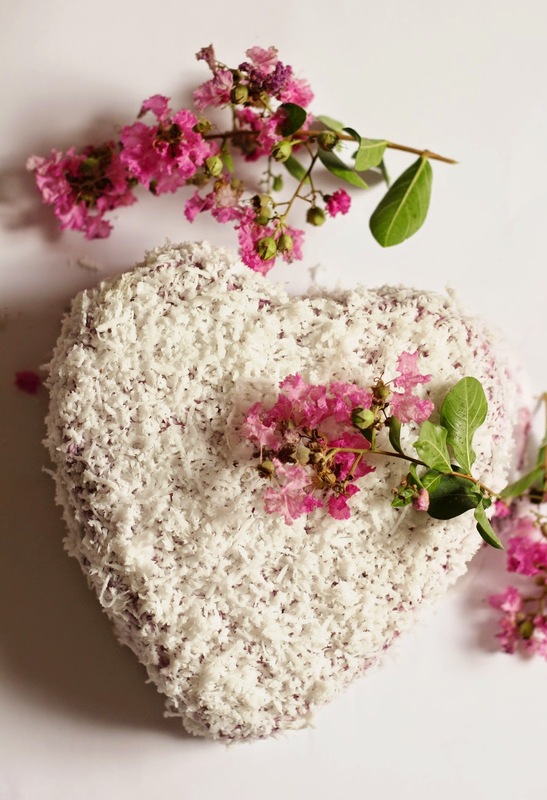 Arrange the grated fresh coconut over the frosting.